Backing up on the success of the Fleetwood Mac and Eagles tribute show at Peel Thunder, Landslide are back! 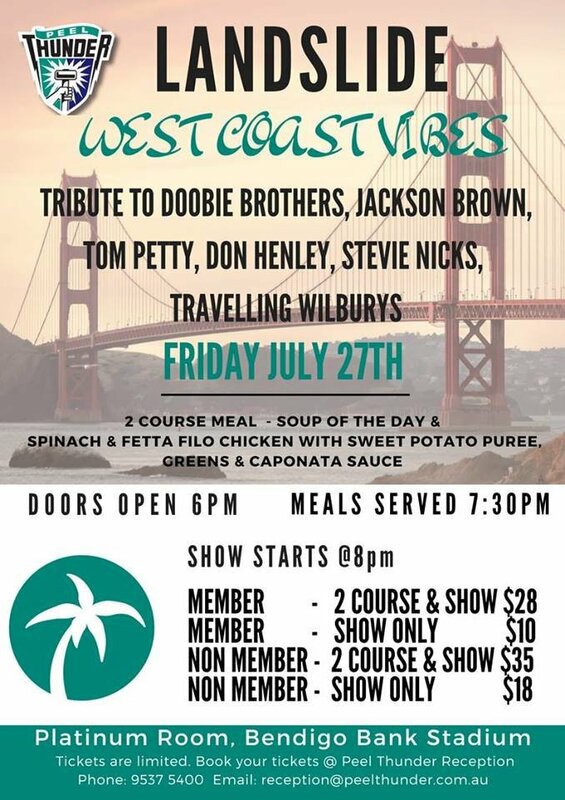 Playing covers from the Doobie Brothers, Jackson Brown, Tom Petty, Don Hendly, Stevie Nicks and the Travelling Wilburys. The Show and 2 course meal was sold out last time, be sure to make your booking as early as possible. Are you a Member of the Peel Thunder Football Club, Memberships start from $50 and offers real benefits, like discounted tickets to the Landslide function.